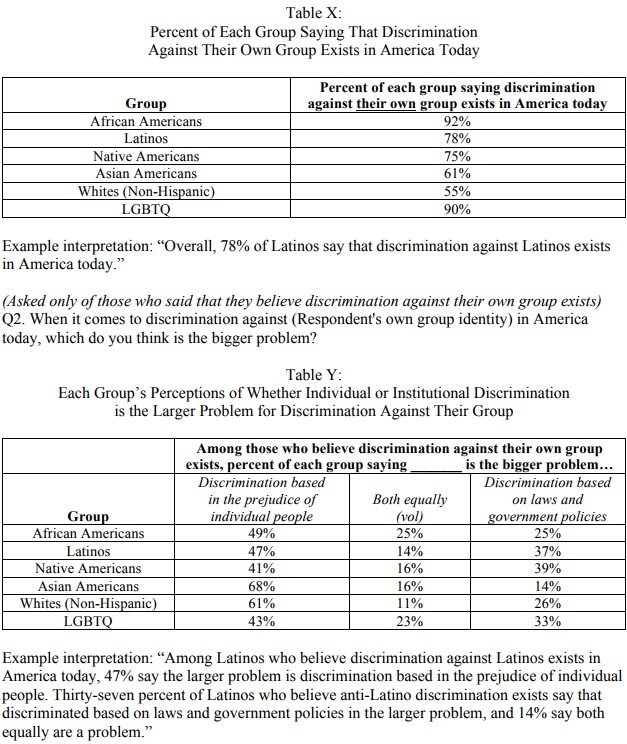 The poll found 55% of white Americans, "generally speaking," "believe there is discrimination against whites in America today." 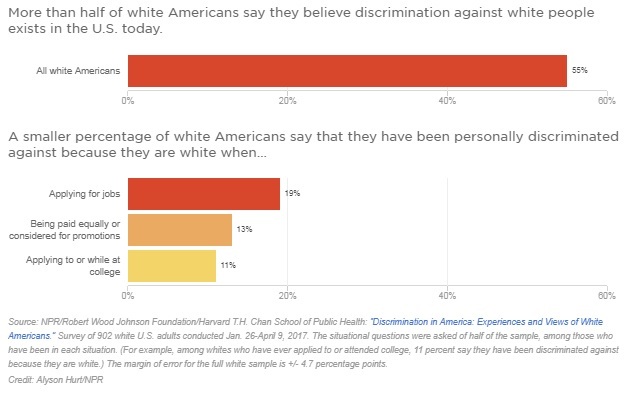 Asked whether they've been "personally discriminated against because they are white," 19 percent of white Americans said yes when it came to applying for jobs, 13 percent said yes when it came to being paid equally or considered for promotions at work and 11 percent said yes for when it came to applying to college or while at college. White people are systemically discriminated against as a matter of law through affirmative action programs at colleges and in the workplace, as well as through loans and government contracts given only to minority-owned businesses. While all minority groups have explicitly race-based advocacy groups which advocate on their own behalf, merely advocating against anti-white discrimination gets one labeled a "nazis" and "white supremacist." 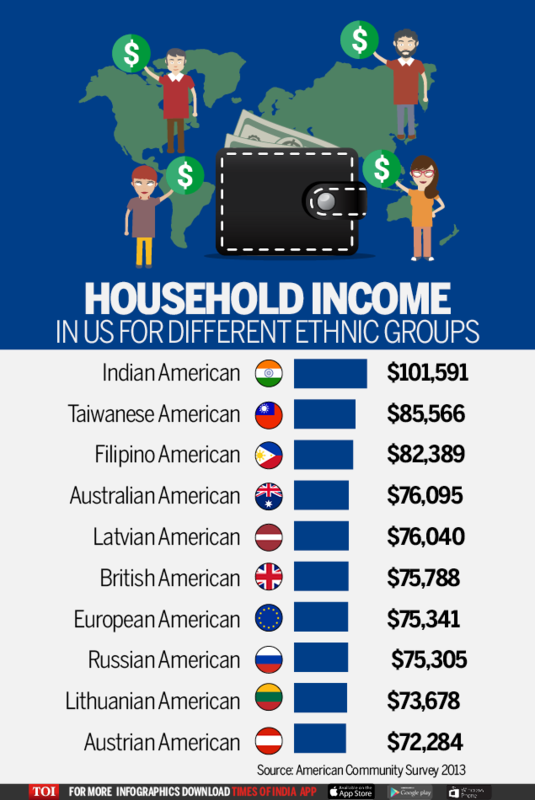 Though NPR falsely reported that, "data show[s] whites continue to be better off financially ... than minority groups," the reality is Indian-Americans earn the highest incomes in America, Jewish-Americans are second and Asian-Americans are third. 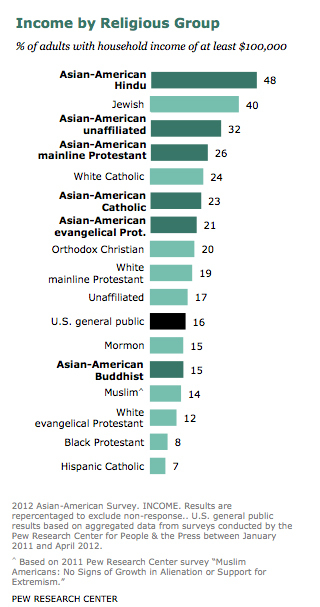 A survey in 2013 found European Americans were in seventh.